1-­out­-of-­2 Oblivious Transfer is an advanced protocol in cryptography which uses an instance of RSA to encrypt or decrypt messages. 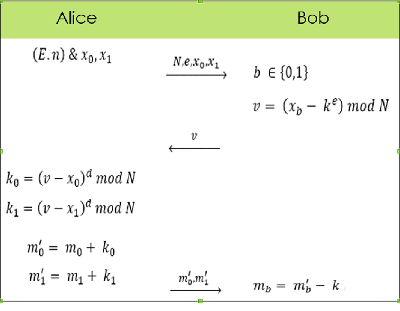 Find the private key d of Alice. Submit the private key d.
You just have to print the final answer. Rest you have to put the source code/ abstract of your solution inside the comments for plagiarism checking.